We just got in our copies for the Custody "Blistered Soul b/w Whatever We Decide" 7 inch. 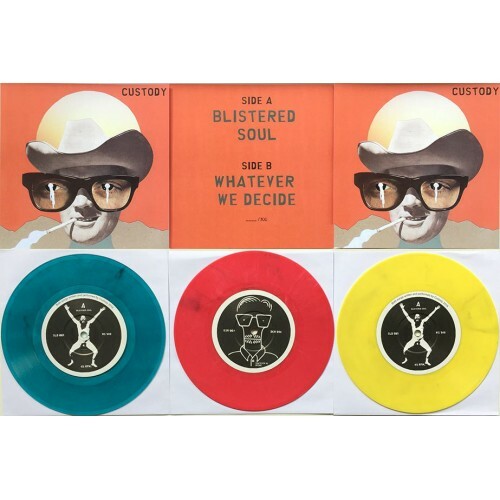 Pressed on Blue, Red and Yellow wax (all limited to 100 copies). If you don't know Custody yet, do yourself a huge favor and check them out. Custody are from Finland and they sound like 90's Samiam and other 90's emotional punk rock bands.